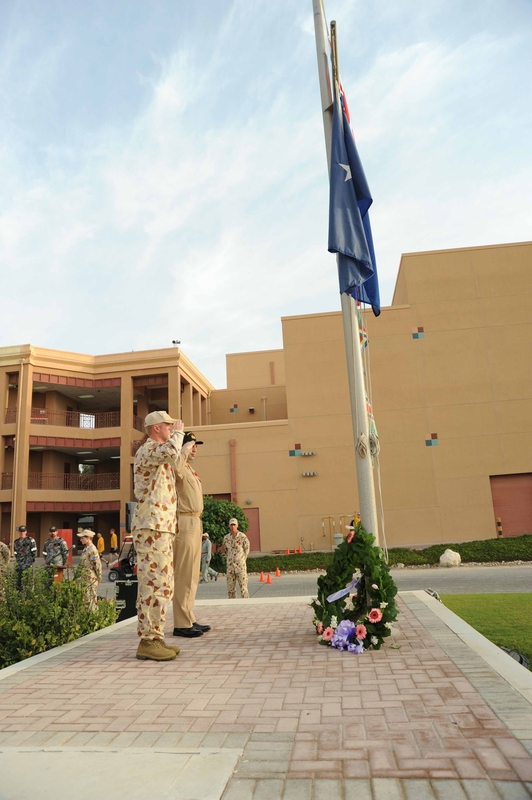 Australian Sailors from Combined Maritime Forces (CMF) deployed to U.S. 5th Fleet area of responsibility held a wreath laying ceremony at U.S. 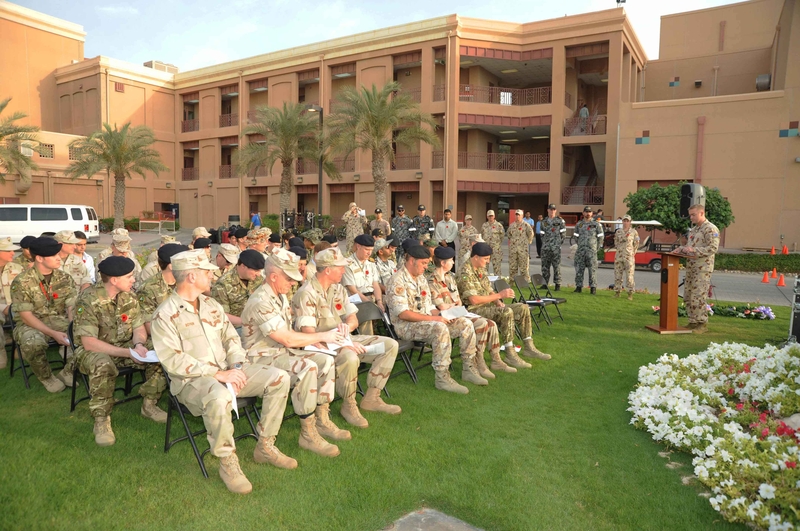 Naval Forces Central Command headquarters at dawn, April 25. 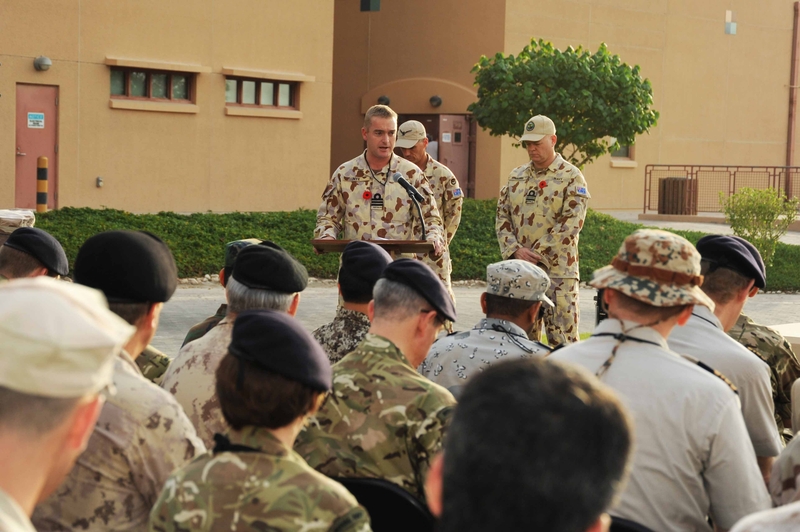 The ceremony honored the 96th anniversary of the Australian and New Zealand Army Corps (ANZAC) landings at Gallipoli, Turkey during World War I. The Gallipoli battle lasted eight months until the Allied forces were evacuated after both sides suffering heavy causalities. In 1916 Australia and New Zealand officially named April 25, ANZAC Day and is a national day of remembrance. Cdr. Aaron Nye, Royal Australian Navy, deputy, director of operations, Combined Maritime Forces, welcomed those in attendance and spoke about the significance of ANZAC Day and how the dawn commemoration is symbolic of the dawn landings at Gallipoli. Australians and New Zealanders celebrate ANZAC Day with memorial services, military parades and festivals to recognize armed forces veterans and active-duty military. “This is a chance for all Australians and New Zealanders to honor those servicemen and women who have lost their lives in the line of duty. It is also the time for all of us to reflect on the important things in our lives such as our family and friends,” said Nye. Cdr. Adem Tanriseven, Turkish Navy Force, and Cdr. Aaron Nye, Royal Australian Navy, concluded the ceremony with a wreath laying that was followed by playing of the “The Last Post” (bugle call) and one minute of silence. “To have a Turkish officer take part in ANZAC Day was a very fitting and moving experience since 96 years ago we were fighting them,” said Nye. 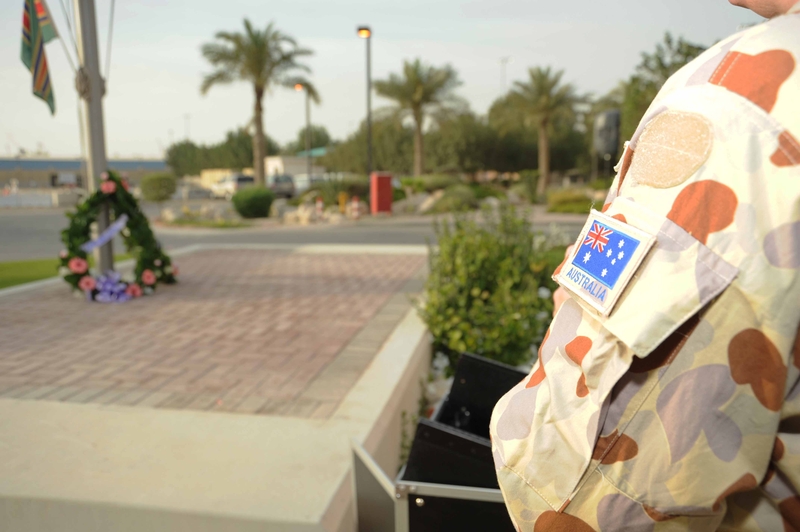 ANZAC Day remains one of the most important national holidays for Australia and New Zealand and is also observed in the Cook Islands, Niue, and Tonga.